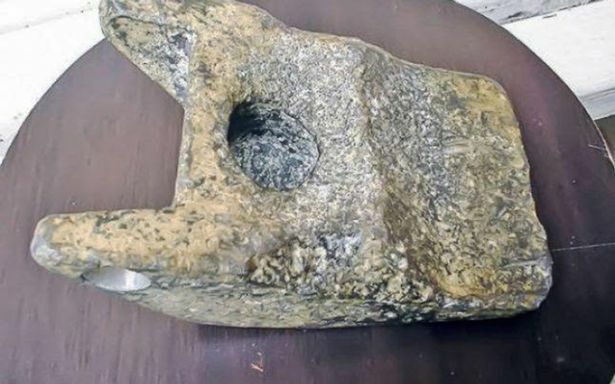 A piece of aluminum that looks as if it was handmade is being hailed as 250,000-year-old proof that aliens once visited Earth. Metallic aluminum was not really produced by mankind until around 200 years ago, so the discovery of the large chunk that could be up to 250,000 years old is being held as a sensational find. The details of the discovery were never made public at the time because it was pulled out of the earth in communist Romania in 1973. Builders working on the shores of the Mures River not far from the central Romanian town of Aiud found three objects 10 metres (33 feet) under the ground. They appeared to be unusual and very old, and archaeologists were bought in who immediately identified two of them as being fossils. The third looked to be a piece of man-made metal, although very light, and it was suspected that it might be the end of an axe. All three were sent together with the others for further analysis to Cluj, the main city of the Romanian region of Transylvania. It was quickly determined that the two large bones belonged to a large extinct mammal that died 10,000-80,000 years ago, but experts were stunned to find out that the third object was a piece of very lightweight metal, and appeared to have been manufactured. According to tests, the object is made of 12 metals, 90% aluminum, and it was dated by Romanian officials as being 250,000 years old. The initial results were later confirmed by a lab in Lausanne, Switzerland. Other experts who conducted later tests said the dates were far alter, ranging between 400 and 80,000 years old, but even at 400 years old it would still be 200 years earlier than when aluminum was first produced. 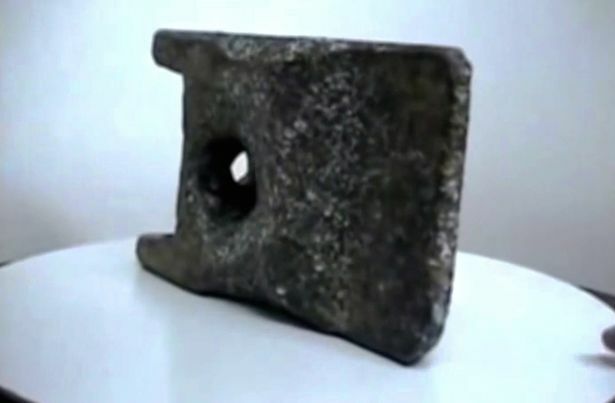 The object is 20 centimetres (7.8 inches) long, 12.5 centimetres (4.9 inches) wide and 7 centimetres (2.8 inches) thick. What puzzled experts is that the piece of metal has concavities that make it look as if it was manufactured as part of a more complex mechanical system. Now a heated debate is going on that the object is actually part of a UFO and proof of visitation by an alien civilisation in the past. 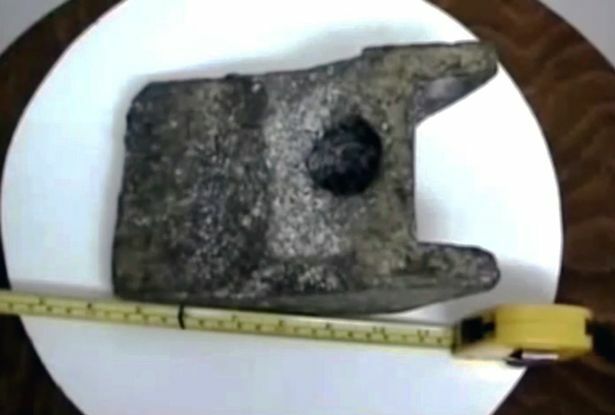 Local historian Mihai Wittenberger has tried to claim that the object is actually a metal piece from a World War II German aircraft. However, this does not explain the age of the artefact. The metal object has now gone on display in the History Museum of Cluj-Napoca with its full history causing heated speculation after it was noted that museum officials had added a sign saying: “origin still unknown”.